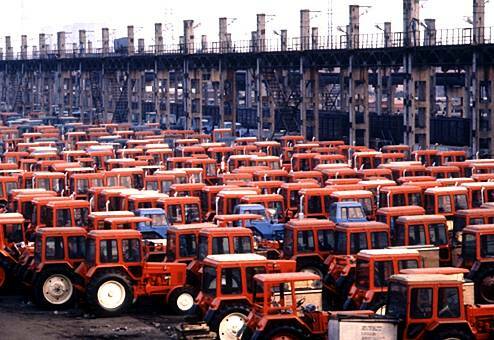 Yes, it is one of the famous tractor manufacturer in the world and has its own uniqueness. Color me impressed. MTZ makes great tractors so I'm not surprised. It's nice to see some of the 'behind the scenes' pics like that. I'd love to see more honestly. Assembly plant in Latin America below. Tractors- classics still in production and newer series. MTZ Pronar 82a assembled in Poland with i guess components from MTZ but different cabs.